A group of young ballplayers got a big league surprise Monday when President Barack Obama stopped by their practice in northwest Washington, D.C.
"Oh my God it’s the president!" a little leaguer shouted when Obama strutted onto the field to warm up with the players. The president made a surprise visit on his way to a fundraiser, according to a pool reporter present. Coincidentally, the daughter of White House Press Secretary Jay Carney is on one of the teams. "Had to bring your dad to the game or he was going to be late," Obama told her. 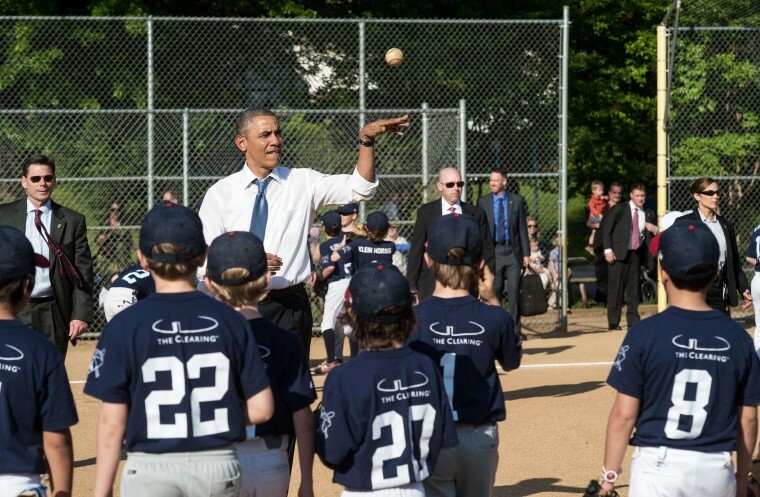 Baseball will play a big part in Obama’s schedule this week. On Thursday, the president will travel to the Baseball Hall of Fame in Cooperstown, N.Y., to promote summer tourism.